After skipping the assorted High Sierra betas, Nvidia has rolled out drivers for its line of PCI-E graphics cards, all suitable for use in the 5,1 Mac Pro, and in a Thunderbolt 3 external graphics card enclosure. The drivers were made available on Wednesday, with the release first noted by xlr8yourmac. Version 378.10.10.10.15.114 is specific to the current High Sierra build, and will need to be updated and re-released for every incremental upgrade of the operating system that follows. Nvidia notes that the macOS Security & Privacy Preferences may open during the installation process, necessitating the user to allow the installation prior to completion. The driver contains unspecified performance improvements and bug fixes. Additionally, the driver package that includes a new CUDA download that includes the new 9.0 version of the toolkit, plus beta support for iMac and MacBook Pro systems with Nvidia graphics. Specific MacBook Pro and iMac models include those produced between 2012 and 2013 that are compatible with High Sierra. 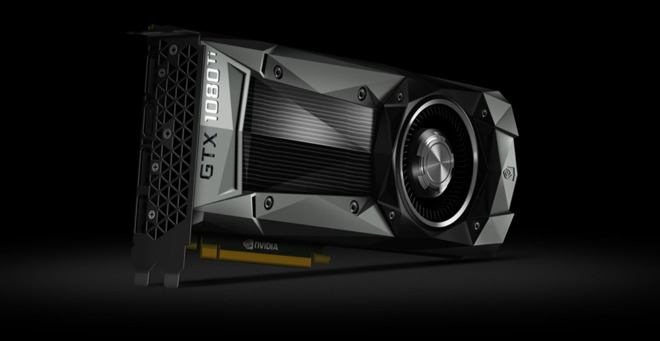 Brief testing of the new driver with an external GPU and Nvidia GeForce 980ti showed compatibility of the combo restored under the 10.13.0 beta release of High Sierra. Further AppleInsider comparative testing on Nvidia versus AMD cards in Thunderbolt 3 enclosures will resume as a result of the release. The new Quadro and GeForce macOS Driver release is a 62MB download. The updated CUDA driver is 26.6MB and supports macOS 10.12 Sierra and up.